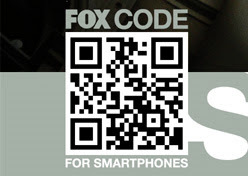 On the bottom of the Fringe season 3 poster (and on the tail end of recent Fringe commercials), there is a strange looking "Fox Code". This QR Code is a type of bar code "for smartphones", that can be read by a QR Code app on your phone (or by using a QR Code website). 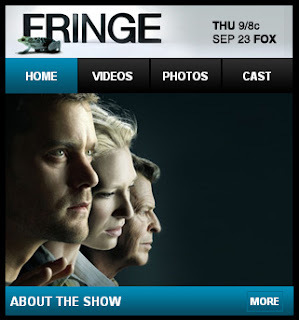 The code reveals a website - in this case a new Fringe mobile website at http://m.fox.com/qr/fr.